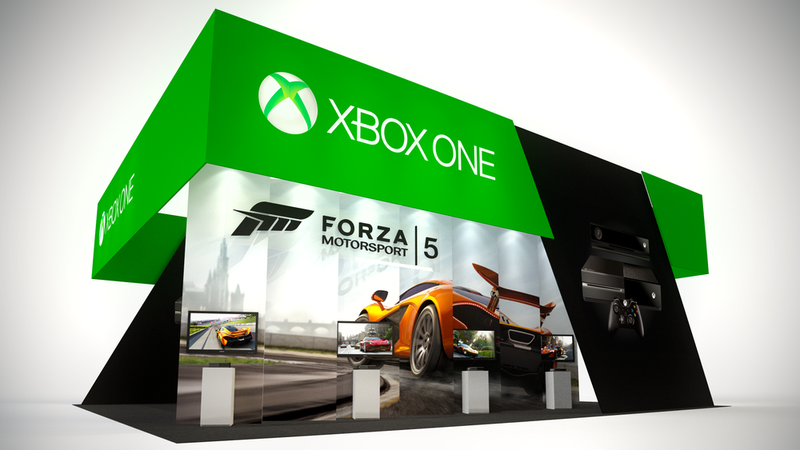 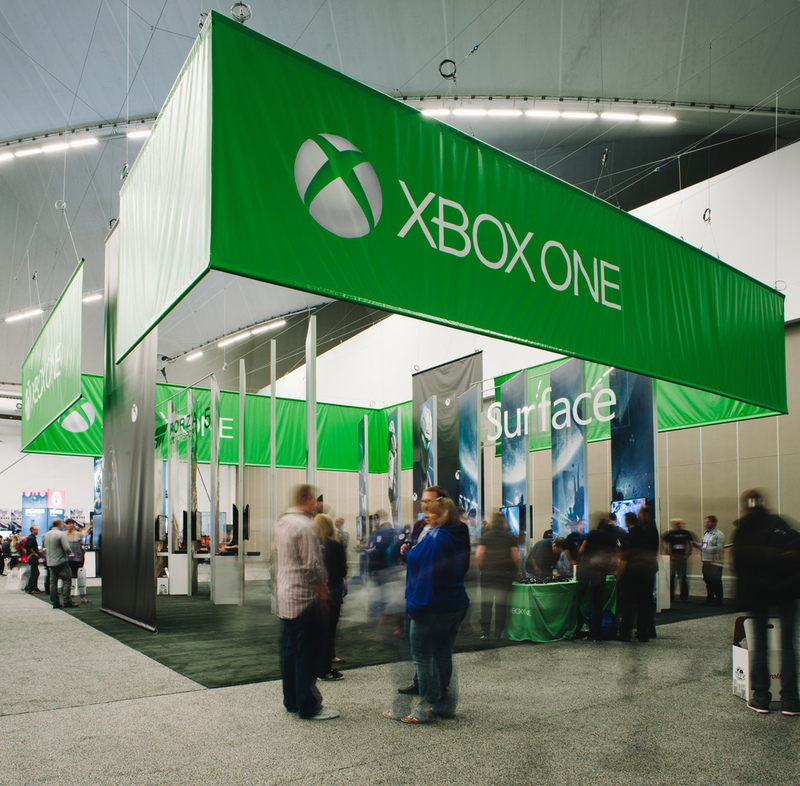 Xbox One — Exhibit Solutions Inc. 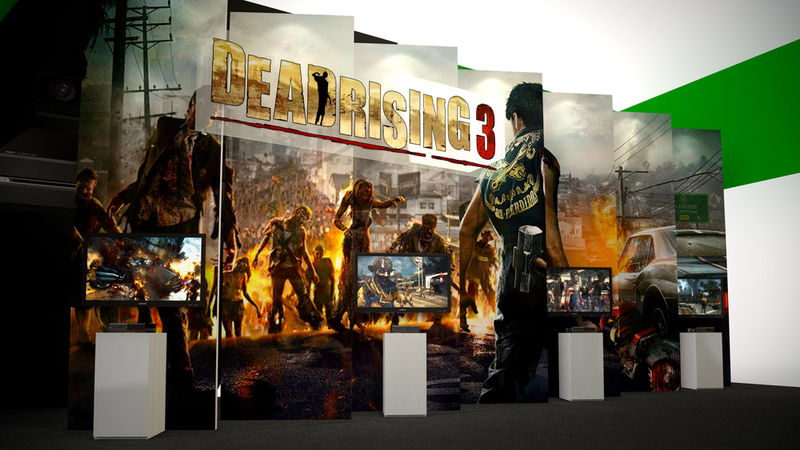 This custom-designed rental exhibit known as the 'louvered booth' was created for the EB Games event in Whistler. 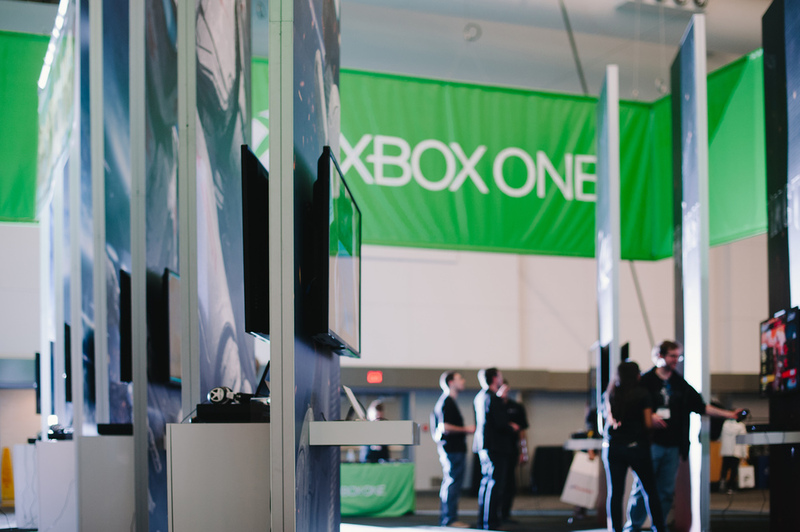 With a 40' x 50' hanging sign surrounding the entire space, along with towers of graphics showcasing the games, this booth made a strong statement for the Xbox One launch at the show.